Get notified when Rush tickets are available! 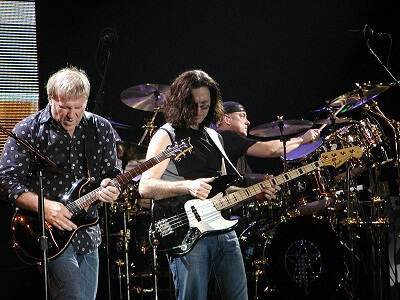 Rush is a rock band that has had legions of fans for decades. Formed in 1968, the band consists of lead singer, bassist and keyboardist Geddy Lee; guitar player Alex Lifeson and drummer Neil Peart. The band has been active since 1968 and broke out in the late 1970s. They have a number of well-known songs, including “Tom Sawyer,” “YYZ,” “Limelight, “Subdivisions,” and “Spirit of Radio.” The band is one of the top 100 selling groups of all time and still frequently tours the U.S. and the rest of the world. You can get Rush tickets for an upcoming concert by using the links above.